U.S. Army Lt. Gen. David H. Huntoon (Ret) said those words yesterday at the National World War II Memorial where community leaders, diplomats,veterans, families, and veteran advocates gathered to mark the 77th anniversary of the Fall of Bataan and Corregidor. On April 9 and May 6, 1942, over 72,000 Filipino and American soldiers surrendered to Japanese Imperial Forces and were forced to march for over 65 miles to prison camps. In the infamous Bataan Death March, approximately 10,000 Filipino and 700 American soldiers died. “Our participation in the Bataan Memorial Death March in the last six years has raised greater awareness about the role of Filipino soldiers, 10,000 of whom died in that 65-mile march from Bataan to prison camps,” Busa said. “Not very many people even knew that Bataan is in the Philippines. Today, the Philippines has a prominent presence in this annual event. But it is more than just a marathon. It is a meaningful way of remembering the courage of death march survivors who endured a horrendous experience. Those who could no longer keep pace with the march due to starvation, lack of water, shelter and medicine were beaten, bayoneted, shot while others were beheaded by the Japanese Imperial Army soldiers." The Filipino Veterans and Recognition Project (FilVetREP) is a nonpartisan, 501(c)(3) tax-exempt, community-based, all-volunteer national initiative whose mission is to obtain national recognition of Filipino and American WWII soldiers across the United States and the Philippines for their wartime service to the U.S. and the Philippines from July 26, 1941 to December 31, 1946, as well as to educate the public on their experience and heroism. 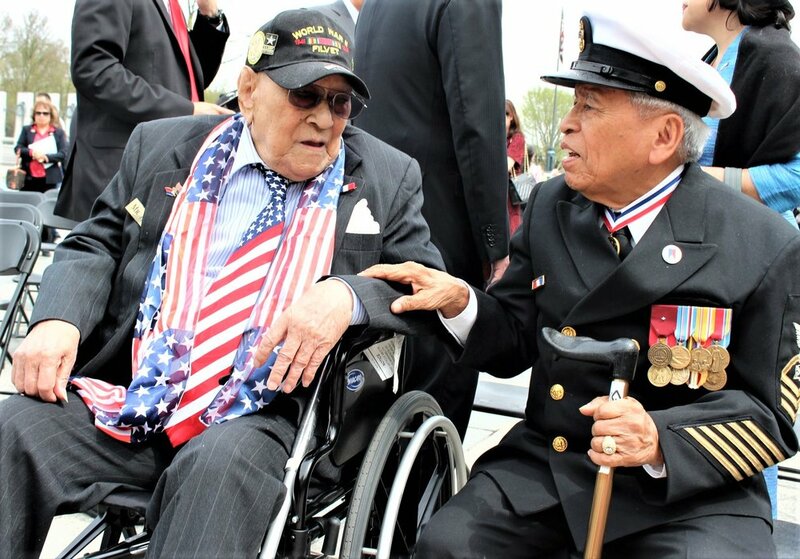 For more information about Filipino WWII veterans and how to get involved, visit our website at www.filvetrep.org or find us on Facebook or Twitter.